Hey ‘Yall! Welcome David Murphy, the blogger behind FoodNService. And the best ever collaborator! 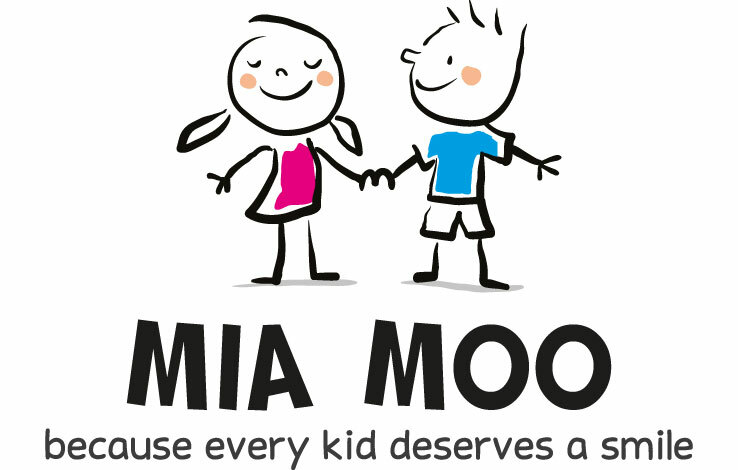 We had so much fun with this campaign! Both of us being ones to push the envelope with flavor and ingredients we found the perfect blend here. I’m gonna stop now and let you read on! Enjoy! And don’t forget to share this beauty with your friends! 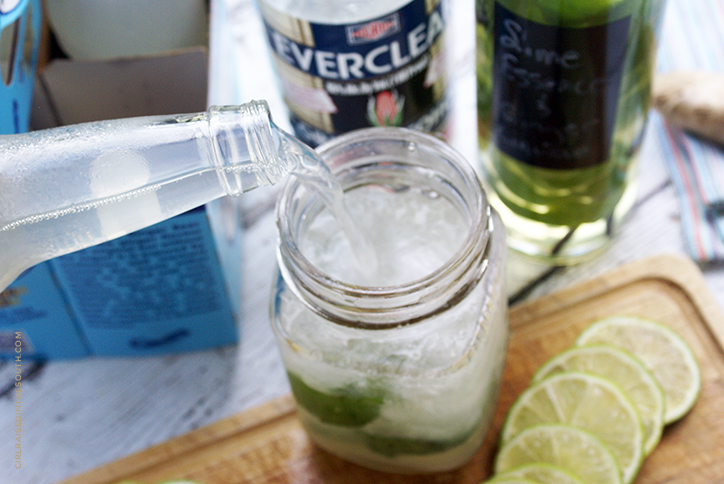 Whether you’re planning your next big Mid-Summer Night’s Cocktail party or something more intimate with a smaller circle of friends, Everclear® can help elevate your mixology skills in rethinking classic cocktails for your libations enjoyment! Join the Make It Your Own by Everclear® journey, and learn how to hone your skills in making cocktails with your very own stamp signature flavor profile. Your friends and family members will not only be impressed that you made your own liqueur, but will also be astounded how amazing your cocktails are! With the onset of this amazing Summer heat and visions of blue oceans crashing around in my head, I always have my go to beverage: a Moscow mule. I love the freshness that it brings to my palate with the sparkling Ginger beer and hints of mint that caresses my tastebuds. To me, it is the perfect Summer time cocktail. However, I felt that I wanted to elevate it with my own homemade Lime Essence & Ginger Infused Liqueur. I know, it does sound completely amazing! Can I tell you something? It’s simple to make and absolutely delicious. 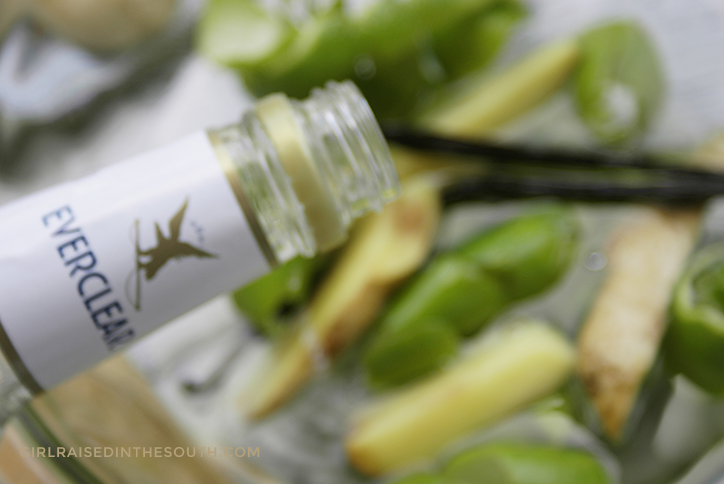 This liqueur will be sure to add another level of flavor to many of your favorite beverages! I’m using Everclear® as the base for my liqueur because it have a very neutral flavor profile, due to it being a neutral grain alcohol. 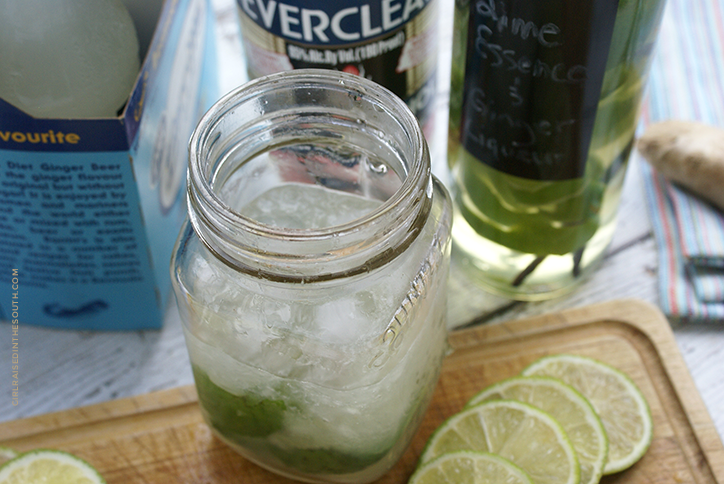 Everclear® gives me a clean slate to work with. 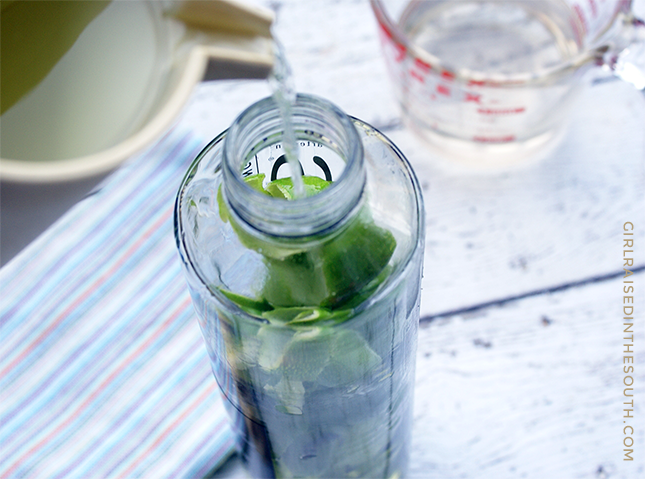 It will help extract the optimal flavor to infuse into your cocktails. 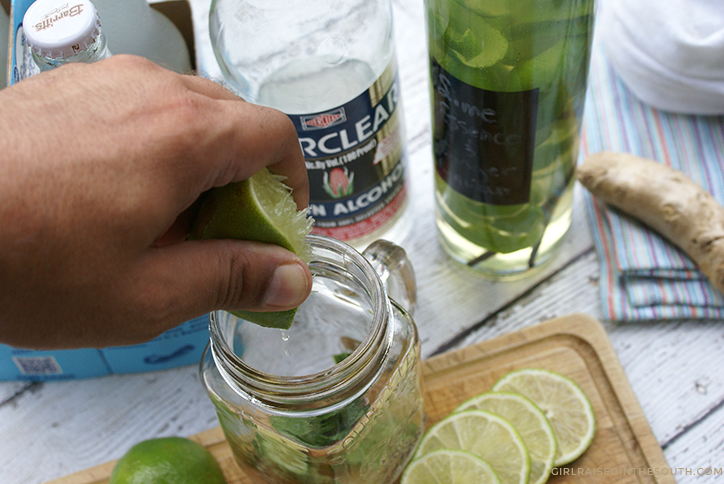 The Make It Your Own by Everclear® campaign helps to reposition it in a more mature and sophisticated manner. Everclear’s® ideology has become one of joining the crafter’s revolution and of their consumers being able to take their home mixology skills to a different level by giving them the ability to put their own flare into their favorite cocktails, both new and old. 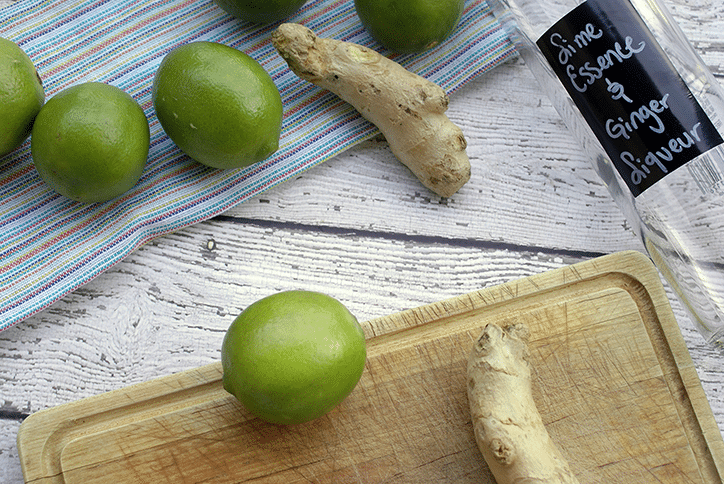 Now, let’s move on and make my amazing Lime Essence & Ginger Infused Liqueur that you can add to your collection of “Must Make” craft liqueurs you have on your list. 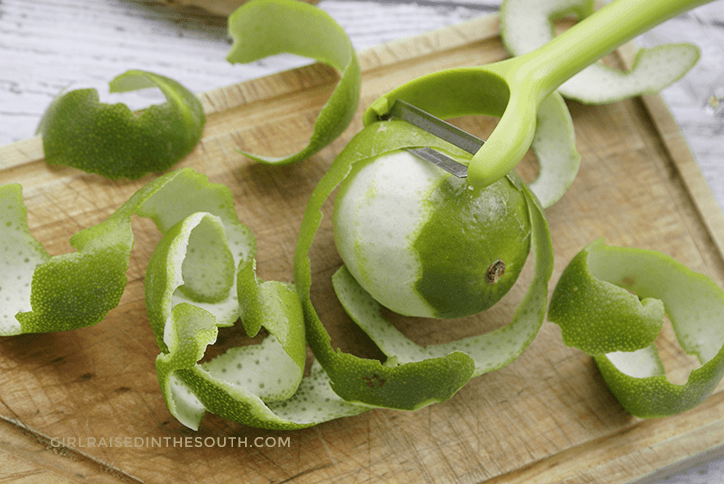 With a potato peeler, peel the skin off of the limes and place in a clear glass bowl. 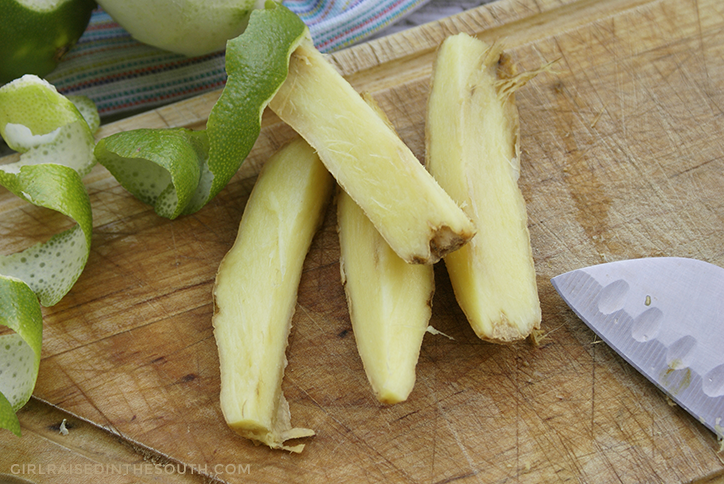 With a pairing knife, cut the ginger into quarters (lengthwise). 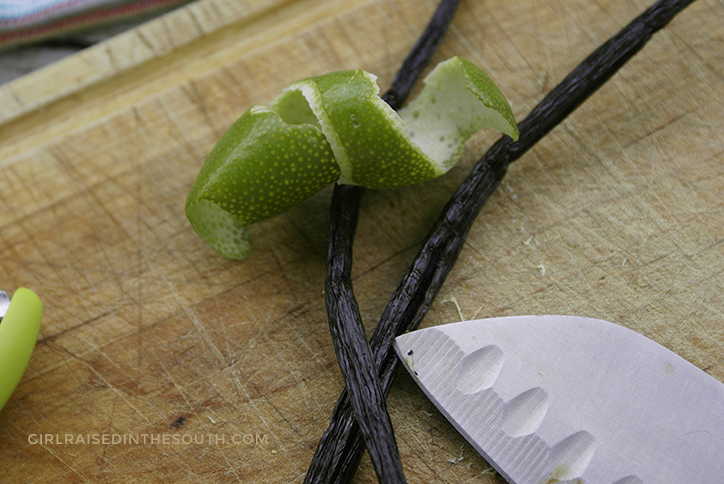 For the vanilla beans, slice down the center to open up. 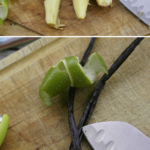 Do not remove vanilla beans inside. 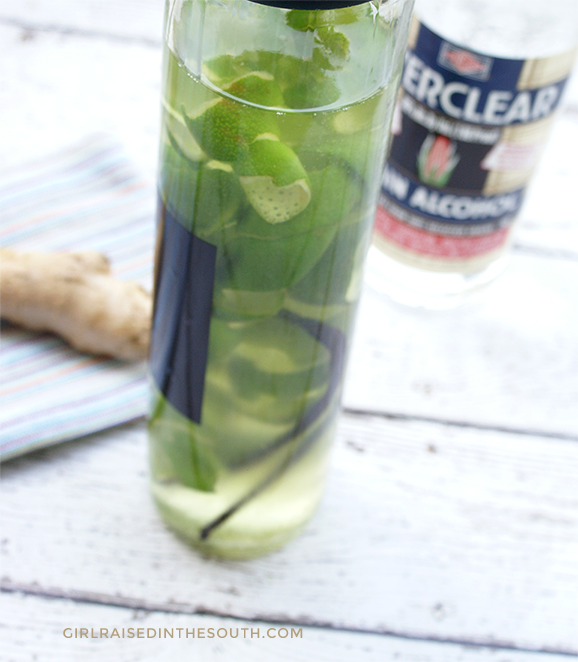 Add Everclear® to lime peels, vanilla beans, and ginger. Allow the mixture to steep for 2 hours, and then remove the ginger. Add in simple syrup and stir gently until well mixed. Allow mixture to steep for 2 more hours before using in your favorite cocktail! 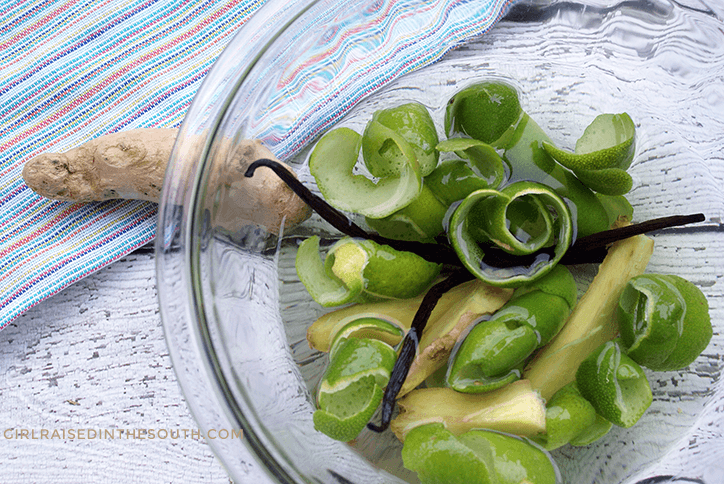 You will keep the lime skins and vanilla beans in your liqueur. Here is the visual step by step for you! 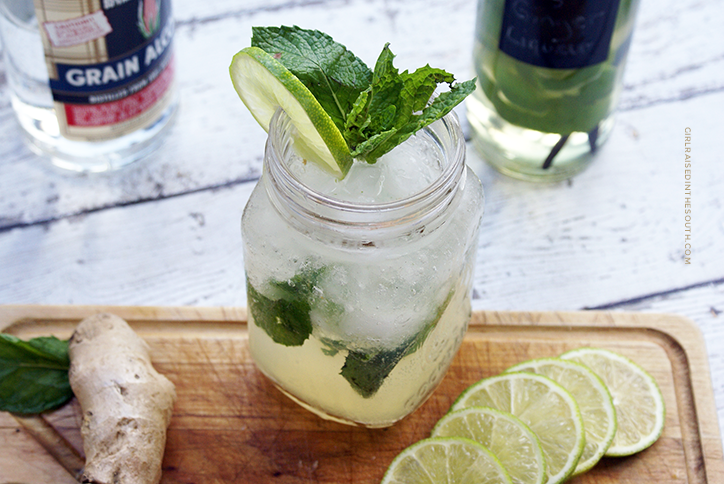 In a high ball glass or copper cup (traditional presentation), add mint leaves, lime juice, and simple syrup. Muddle the mixture together well. 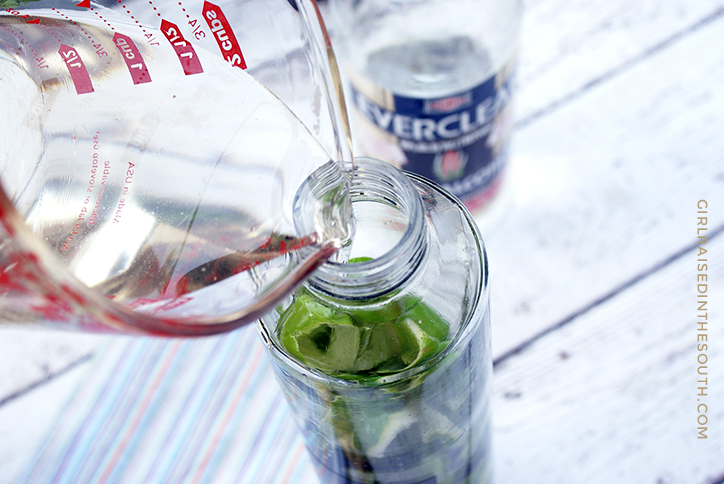 Add crushed ice, vodka, and your lime essence & ginger liqueur. Top off with ginger beer and stir well. 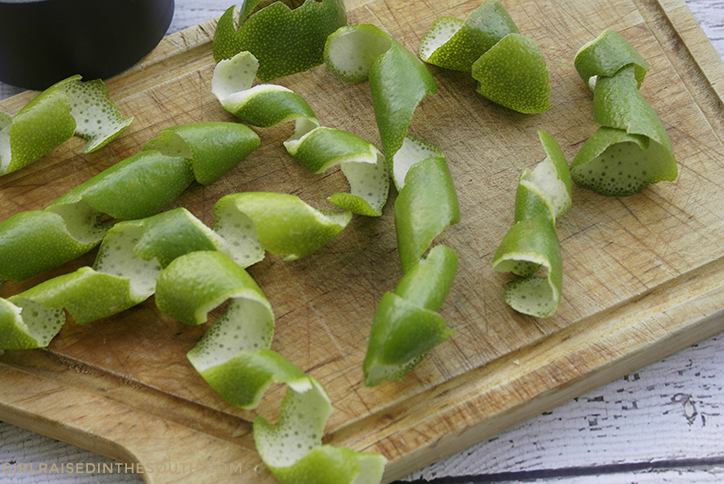 Garnish your beverage with a sprig of fresh mint and a lime wheel slice. You're now ready to showcase and enjoy your favorite beverage!